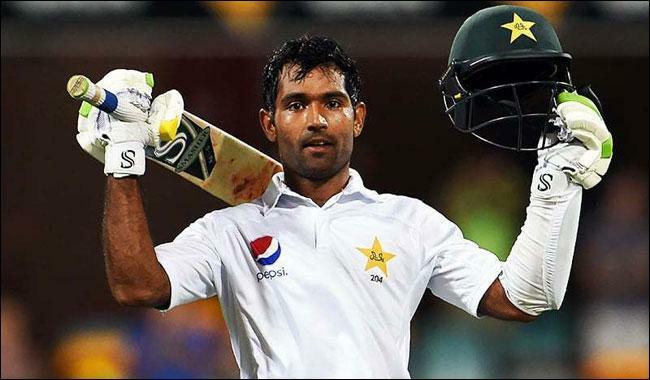 It seems Pakistan latest triumphant captain Sarfaraz Ahmed a wicket keeper batsman is very much inspired by his predecessor‘s like Shoaib Malik and Misbah-ul-Haq. No No No!!! I am not talking about the inspiration in captaincy or leading skills but it’s about demoting himself in the batting order needlessly. As we all know and the fact suggest that Sarfaraz Ahmed is not a big hitter of the cricket ball; he is an accumulator who just maneuver the ball with in the gaps and with his innovative and street smart thinking he just keep the score board moving along and provide the impetus that required to stabilize the innings during the middle overs. If you look at Sarfaraz Ahmed’s career during the initial phase when he was fighting hard to find a permanent place in Pakistan’s limited over side and despite putting up good show several times he found himself at bench most of the times when team management and coach Waqar Younis favored part time wicket keeper Umar Akmal ahead of him. At that time he fought his way back into the side by playing as an opener and scored his first century in ODI cricket during the World Cup 2015. Then he played in the top 5 slot of Pakistan batting lineup and succeeds most times in providing required momentum to Pakistan team during the middle overs with his skillful stroke making and adventurous running between the wickets. He also battered his highest score in England when he has been promoted in at # 4 in and he repaid the faith by scoring his second ODI century in difficult English conditions. During the final ODI of the same series Sarfaraz Ahmed played a blistering knock of 90 runs of 73 balls and played pivotal role in registering Pakistan’s lone win in 50 over format of the series. Since becoming captain for some unknown reasons Sarfaraz Ahmed has slotted himself down the order and in 7 of the 14 innings as captain he didn’t came out to bat. In three attempts he remains not out which gave him the average of 38 runs per innings as captain but scoring 152 runs in 14 matches is nothing much to talk about. By looking at the below statistical comparison of Sarfaraz Ahmed performance on various positions it is clearly evident that Sarfaraz Ahmed’s performance as batsman improves when he play among the top 5 positions where as it nosedived when he opt to play lower down the down the order. And if God forbids the results of the matches in upcoming series doesn’t go in his favor than his lacking in scoring runs can easily work against him. Sarfaraz Ahmed must need to utilize his skills and abilities as a batsman if he wants to enjoy success at international level for a longer period of time. Otherwise in Pakistani cricket culture most of the times when a player lost his captaincy he also get drooped from the eyes of the selection committee and PCB.